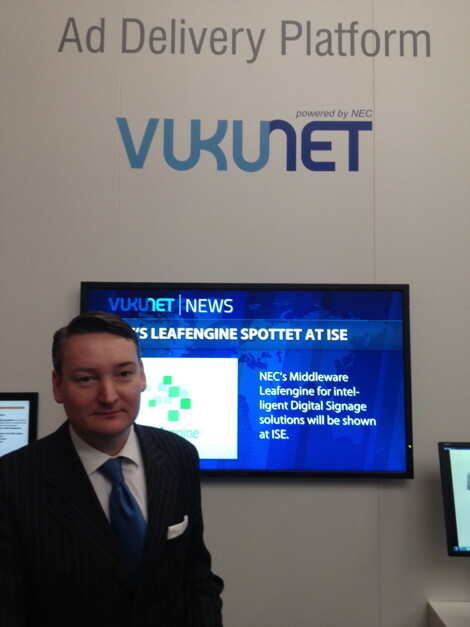 NEC Display Solutions Europe is showcasing its recently re-announced VUKUNET ad serving platform  during the #NECshowcase 2012 event at the O2 Arena in London today. The first VUKUNET partnership in the UK is with Wonderworks Walkway Media Ltd  – a deal that was first hinted at back in February  in a sort of haphazard client-speaking-with-foot-in-mouth-without-permission-of-NEC sort of a way! The contract will see Walkway Media supply a DOOH, signage, information and advertising network across a target of 30 mall locations in 2012 commencing with the recent installation at several independent sites, including the Criterion shopping malls at Slough, Dalston and Sutton. VUKUNET is just be one part of the #NECShowcase, which is now in its fourth year after successive growth and increasing media attention. The event provides a unique platform focused upon solutions rather than technology to create a compelling medium for growth within the display industry. 2 Comments To "Automated Waterworks From VUKUNET"
Is that a typo in the picture? Should be Spotted rather than Spottet?